I-TRACKING then activates signals from the attached transponder and transmit information via satellite to our servers. Exact information is determined and retrieved with a web-based system powered by a host of servers: Web Server; Location Server; Database Server; Communications Server and a state-of-the-art Data Centre that provides real time analysis. It then transmits this information and any other information collected from any sensors attached, to our servers using GPRS. These servers, namely Web Server, Location Server, Database Server, Communication Server together with a Data Center, provide a web based system to determine and analyze the location of vehicles and personnel. 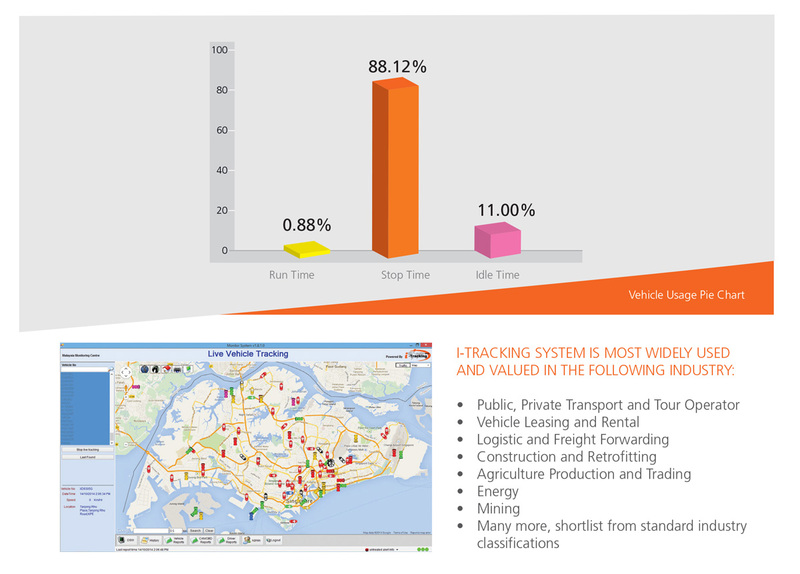 Besides the ease of keeping track of your fleet, I-TRACKING offers a variety of Web-based, Client-based applications and reports for further analyses of your fleet. These applications have been optimised for personal computers, as well as smart phones. This means that you can truly stay up to date with your fleet anytime, anywhere. 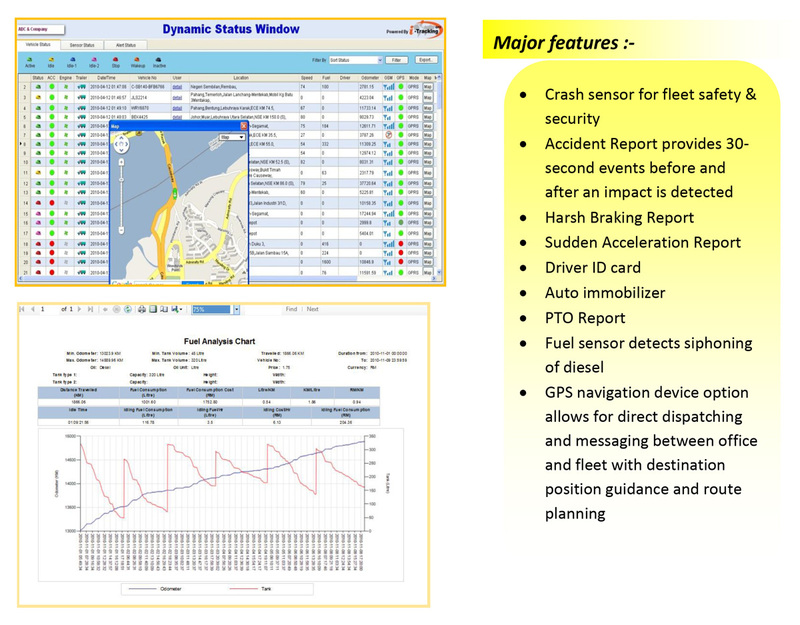 The I-TRACKING system also allows you to monitor your fleet’s travelling speed, idle time, battery and fuel levels. Your organisation can look forward to a more productive and environmentally friendly fleets. 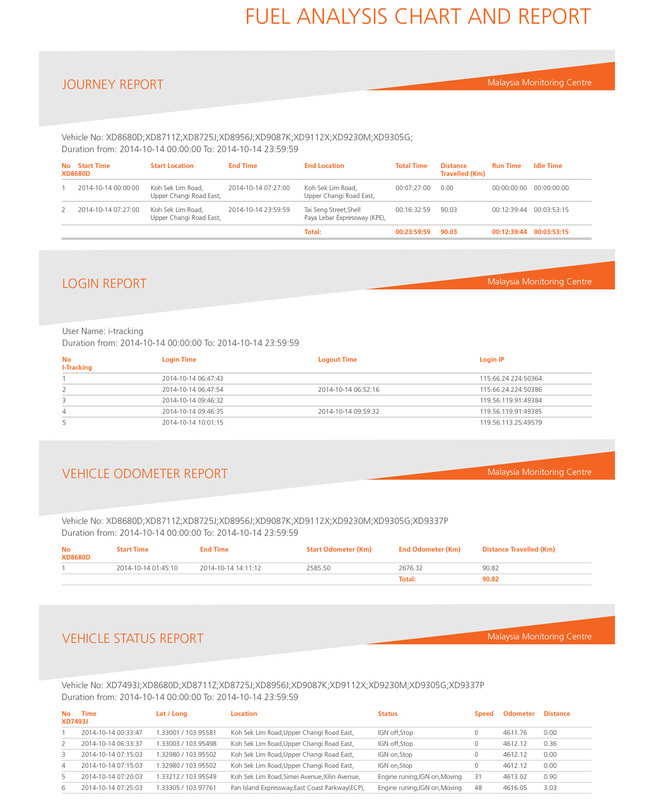 Real-time vehicle status - vehicle number, location, speed, idle time, battery, fuel etc. 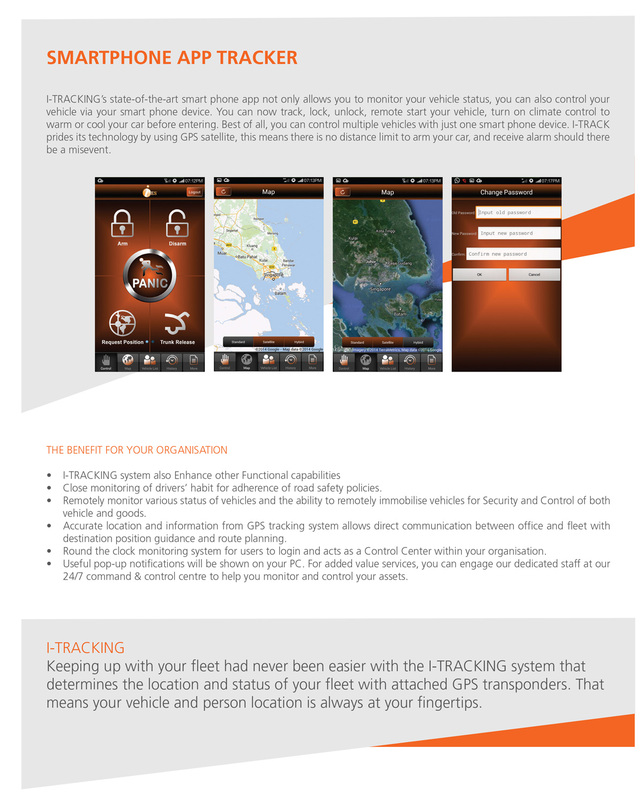 With i-Tracking GPS fleet management system, you are always in total control of your fleet. i-Tracking lets you leverage real-time fleet management information to better manage your fleet, cargo and drivers quickly and effectively.